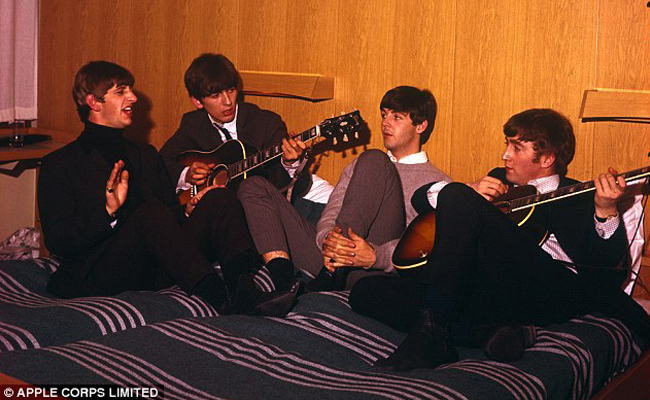 Some of you may be wondering, "Do we really need a new Beatles documentary?" The answer is, well, it depends. If you're a millenial who only discovered the Beatles on Spotify, then yes, we do. If you're an old fan who was already alive when all four Beatles were, then yes, we do. Okay, so it doesn't really depend. The world does need a new Beatles documentary. Eight Days a Week: The Touring Years is as the title suggests–a documentary about the touring years of the Beatles, from their early road struggles in Liverpool, England and Hamburg, Germany in 1960 up to their last live concert in Candlestick Park, San Francisco in 1966. As a treat, however, director Ron Howard threw in their gig at the rooftop of the Apple Corps. office in 1969 which, although not part of the touring years, was the Fab Four's final live performance. 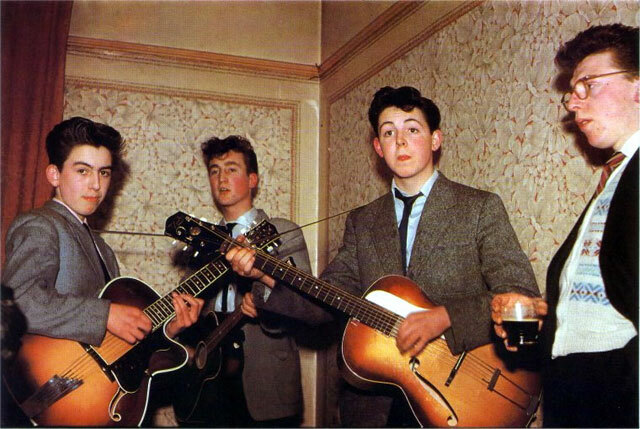 Before they had moptops. Circa 1957. 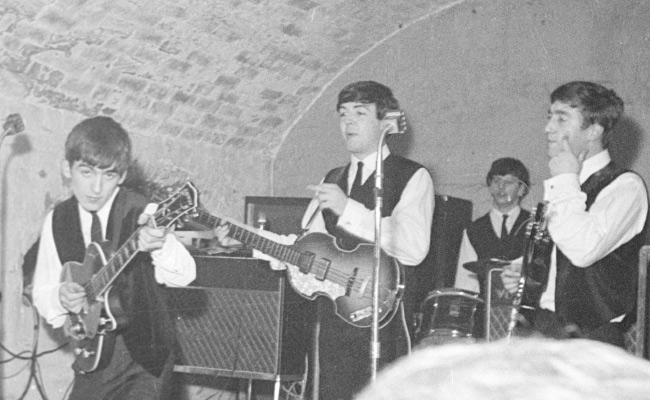 For the new fans, they'll get to see footage of the Beatles in their prime, showing how John, Paul, George, and Ringo became the biggest band in the UK and how they seamlessly transitioned across the pond to become the biggest band in the English-speaking world. 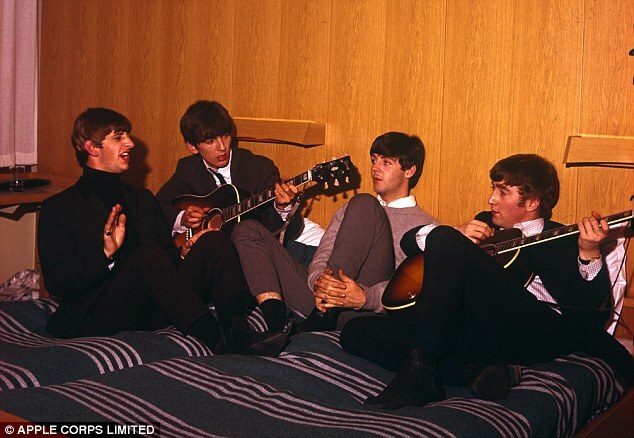 For old fans, especially the die-hard ones who've seen hours of Beatles videos before this, they'll get to see all-new never-before-seen footage of the Beatles, gathered from fans' home movies which were filmed during the actual tour dates. The film features archive interviews from the late Messrs. Lennon and Harrison, as well as new interviews from Sir Paul McCartney (who doesn't seem to have aged well), and the great Ringo Starr (who seems to have looked cooler with age). Then there are also celebrity memoirs, recounting their fond and nostalgic memories of Beatlemania, including Elvis Costello, Eddie Izzard, Whoopi Goldberg, and Sigourney Weaver. Back in their Cavern days. Pretty noticeable was how cool the Beatles were. Aside from being very cheeky, especially in interviews, they seem to exude that happy-go-lucky attitude, making their performances seem like playtime, when in reality, that's one of the most gruelling tasks a human being can endure. They never do seem to take themselves seriously except when making music and writing songs. That's their craft, that's what they do best, and that's something they really take seriously. 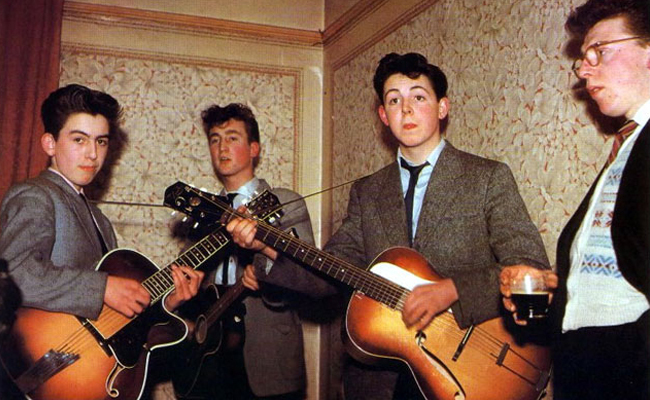 The Beatles weren't really after the fame nor the prestige; these were just a by-product of their excellent music. Well, yes they did want to reach the "toppermost of the poppermost", but what they really wanted was to be the best in songwriting and music-making. They put premium on the music and the performances, and when all the screaming fans couldn't give them the best of what a live musical experience should be, they ditched that and concentrated on giving their best in the studio. After their retirement from live performances, the world didn't really mourn the loss of Beatles music, because their remaining years in Abbey Road gave us some of the best recorded albums in history, forever cementing their legacy in music history. 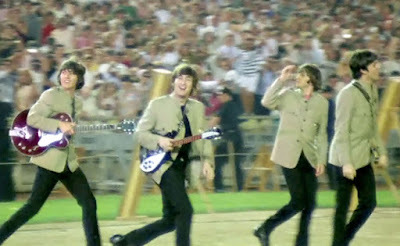 One of their last live gigs at Shea Stadium. 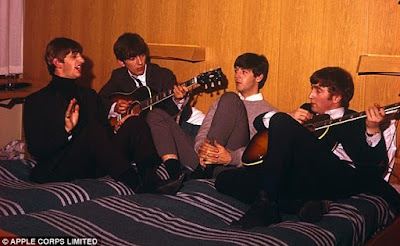 The Beatles: Eight Days a Week–The Touring Years. USA/UK. 2016.